Thomas Ervin Moffatt is recognized for his lifetime commitment and work in the entertainment industry for the state of Hawaii. Moffat’s name is synonymous with entertainment in Hawaii. Tom Moffatt Productions produces live concerts, sporting events, ice shows, fundraisers, hotel and corporate parties and international attractions. Though he will forever be known as the man who brought Elvis to Hawaii, it is his promotion of the state of Hawaii that has distinguished him from his peers. His productions have helped to put the state on the global map as a legitimate international entertainment venue, bringing superstars such as Michael Jackson, Elton John and the Rolling Stones. 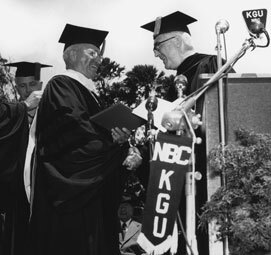 In addition to his work in promoting Hawaii to the world, Moffatt has also been a dedicated supporter of local entertainers. From the Brothers Cazimero May Day concerts to the Brown Bags to Stardom talent contest, Moffatt has helped to nurture and promote homegrown talent. Moffatt received a lifetime achievement award at the 2002 Na Hoku Hanohano Awards. In 2005, HONOLULU Magazine named him as one of the 100 most influential people in the history of the city of Honolulu. In 2009, he was nominated to the National Radio Hall of Fame. 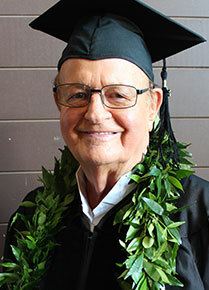 April, 2014, was proclaimed “Tom Moffatt Day” by the City and County of Honolulu in honor of the 50 year anniversary of his first show at the Blaisdell Center Arena.